Mooshoopork » Happy Birthday Lennox! Today was Lennox’s 7th birthday. 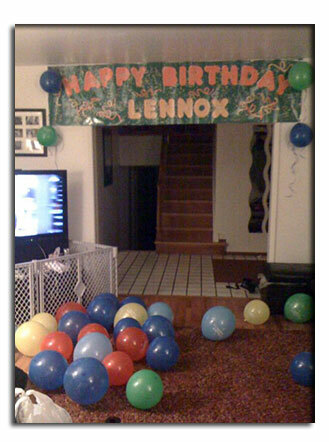 He woke up to a birthday banner and house full of balloons. 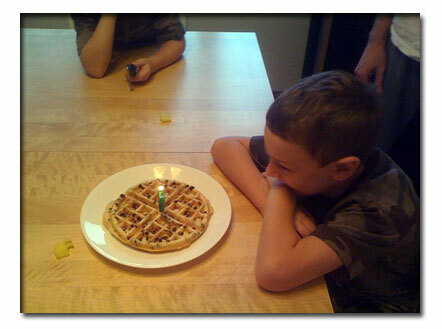 Then filled his birthday boy tummy with homemade chocolate chip belgian waffles, along with a happy birthday serenade. I don’t think I’ve seen them eat so much a in awhile, but we weren’t done! 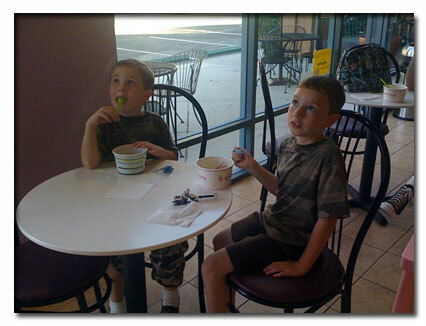 We walked across the parking lot to a new frozen yogurt place called Yogofina. Awesome kid friendly place, complete with kiddie tables and chairs (Ikea) and Ratatouille playing on a flat screen. Oh and the wall of about a billion toppings was pretty great too! All and all I think Lennox had a good and memorable birthday. It’s not over yet either, Grandma & Grandpa are coming up and Saturday we’re having a party. Not bad for turning 7 right?! 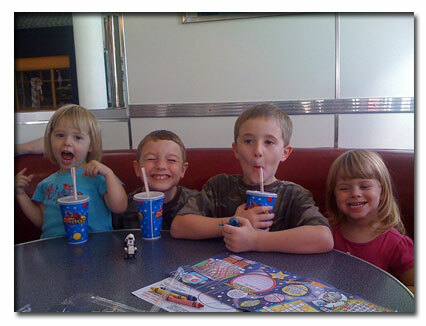 Sevens years of being a mom, feels like a life time in the blink of an eye. I’ve learned and changed so much. I am always overwhelmed when I stop to look at him, really look at him. I see how much he’s grown, how smart and capable he is. It blows my mind, and makes my heart swell and break all at once. Lennox I am so proud of you, so proud to call you son. I am truly blessed to be in in your life, and love you more than I will ever be able to show or explain.